Being tied to an office desk for a full 8 hours can be frustrating, if not outright boring. But there is actually a more sinister effect of being glued to one’s seats for extended periods of time. Back pain is just one of them. Standing up for prolonged periods doesn’t help either as the pooling of blood in the lower limbs can lead to other problems. There must be a healthy compromise between sitting and standing for too long. 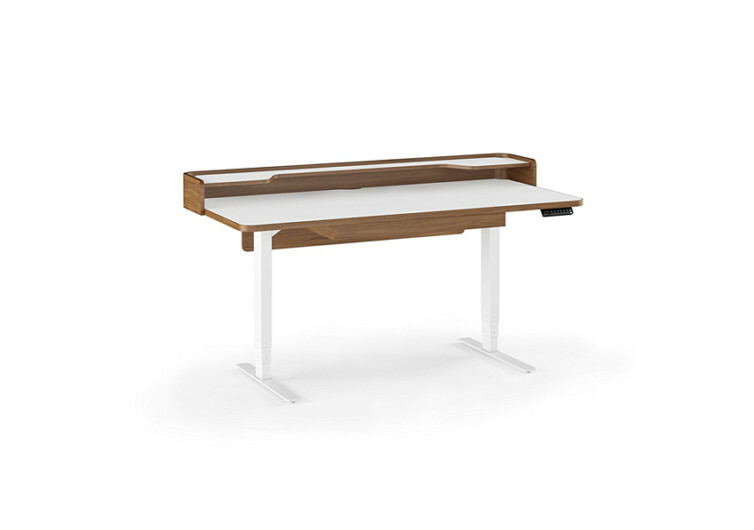 The BDI Kronos 6752 Lift Desk provides such an answer. 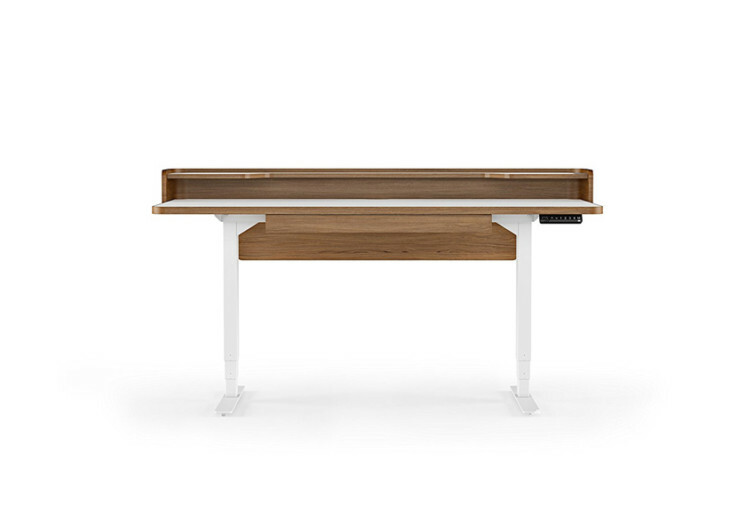 The Kronos comes with an electronically-controlled lift mechanism that automatically adjusts the height of the desk with a press of a keypad. 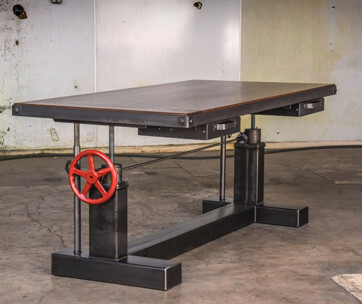 There’s no need for manipulating any contraption or going under the desk to adjust the height. Everything adjusts electronically. The keypad controls can be easily programmed with one’s preferred desk heights. As one already feels the pinch on the back for sitting too long, Kronos can be easily adjusted to allow one to stand up and continue working. This eases the slowly-creeping discomfort on one’s back. And even before the legs begin to shake, Kronos can be readjusted to its sitting height. 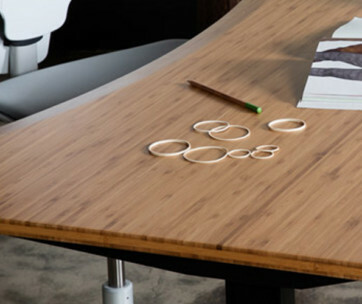 These changes in the desk’s height allow office workers greater productivity as they won’t have to move away from their desk just so they could relieve the pressure on their backs. 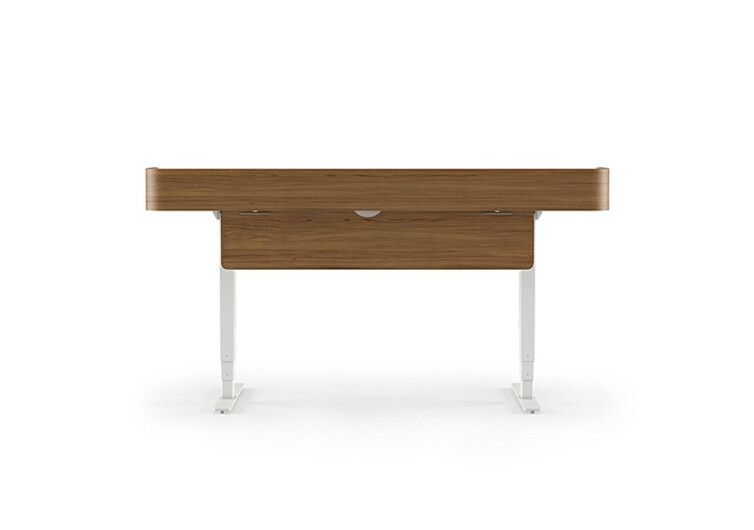 BDI’s Kronos is elegantly crafted, too. 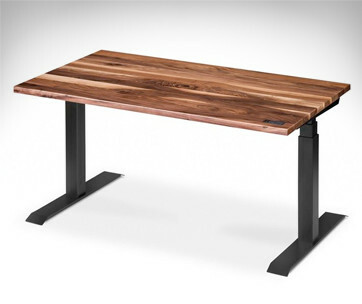 Made of natural walnut hardwood, it comes with a mezzanine shelf that doubles as an elegant way to declutter the office desk. It also features a worthy wire management system complete with ledge and channels. 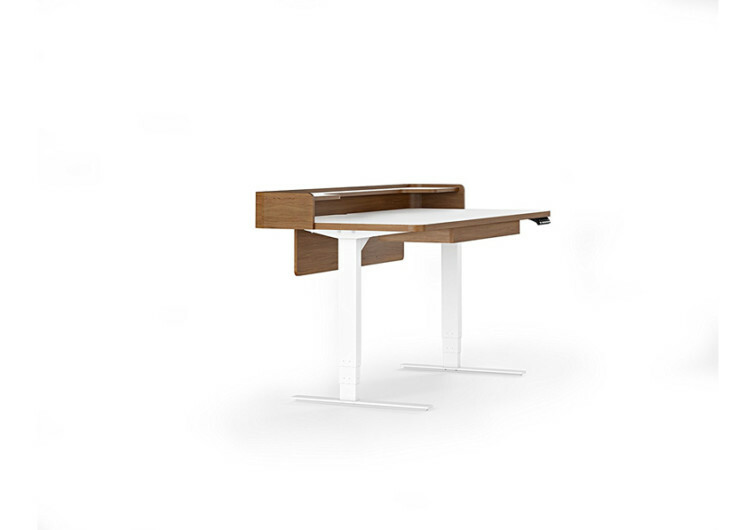 Kronos also features powder-coated steel and additional veneers to match any contemporary office styling. Working in an office setting need not be the harbinger of health issues. With the fully adjustable height of the Kronos, health concerns are avoided while increasing productivity.